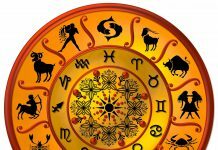 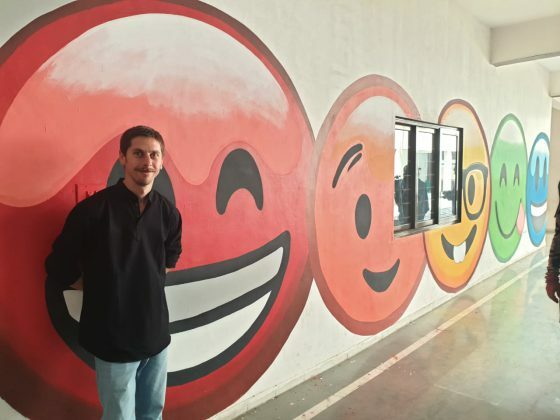 “With seven chakras in emojis I want to show the relationship with Indian culture. 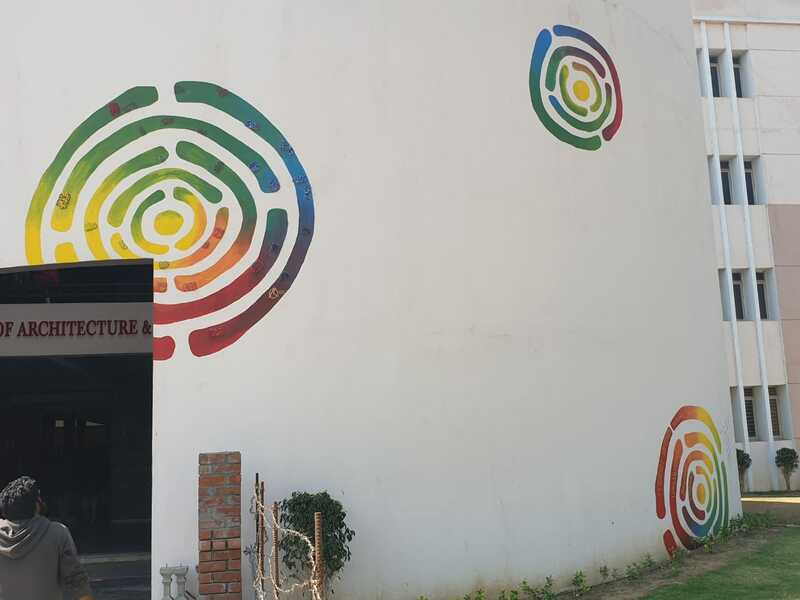 With Feldenkrais technique I leaened the chakras and discover myself with conscious body and energies. 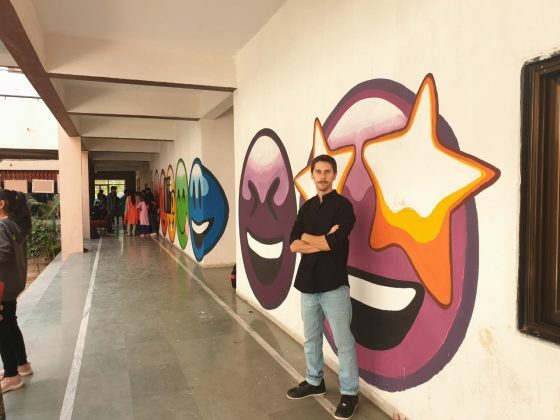 I want to relate the ancient Indian spiritual tradition with the present art of ’emoji’ to connect with others,” said Brune Sirota from Argentina. 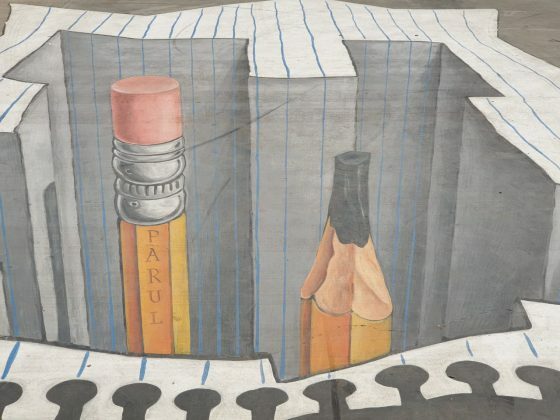 He is part of the group of international artists gives the artistic touch to the Parul University campus. The art festival at Parul University turns the campus into a unique blend of arts from Various countries. 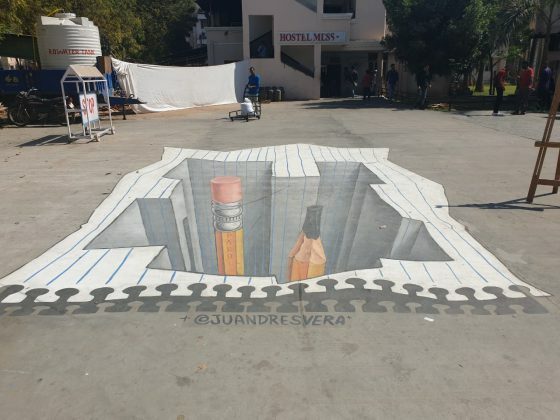 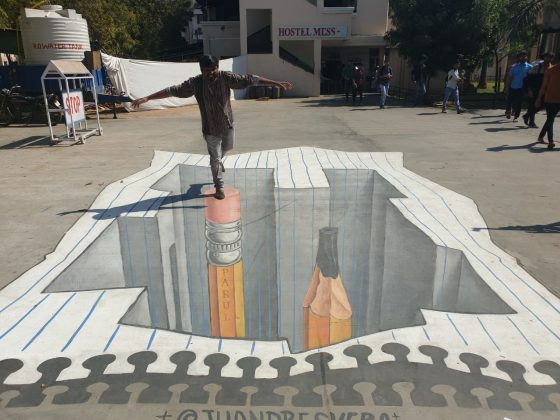 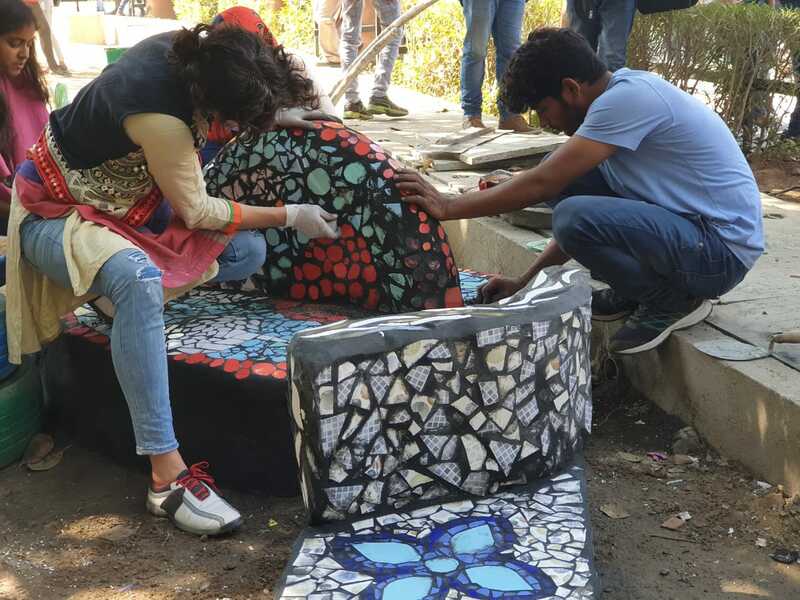 International artists from 15 countries gathered at the university as part of International Arts and Sculpture Festival and turn the campus into inspiring art with a creative touch. 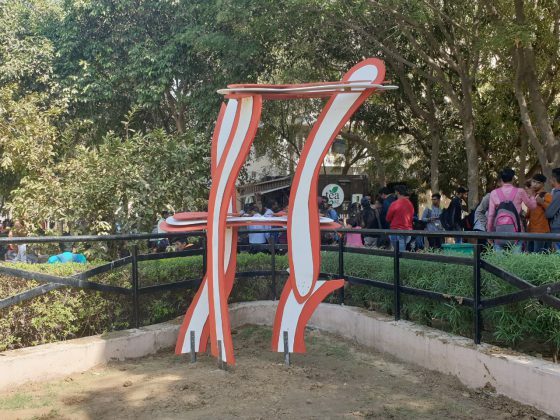 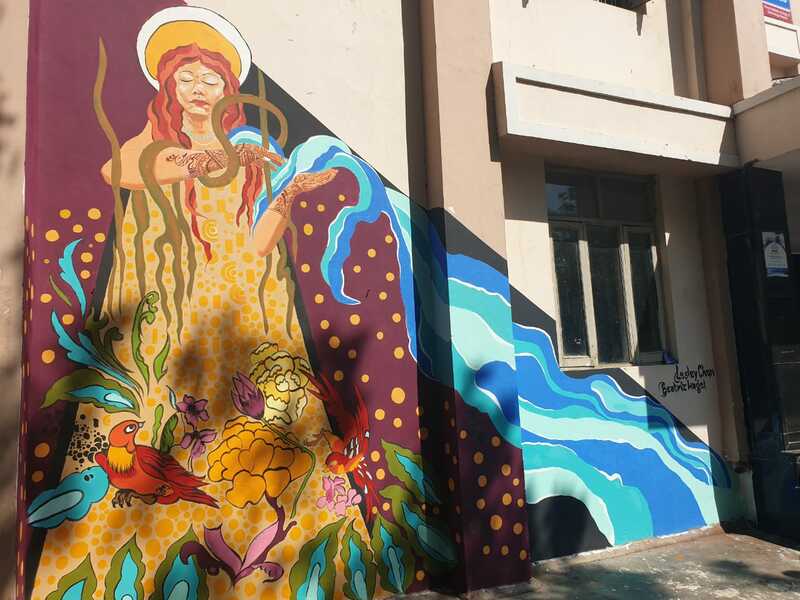 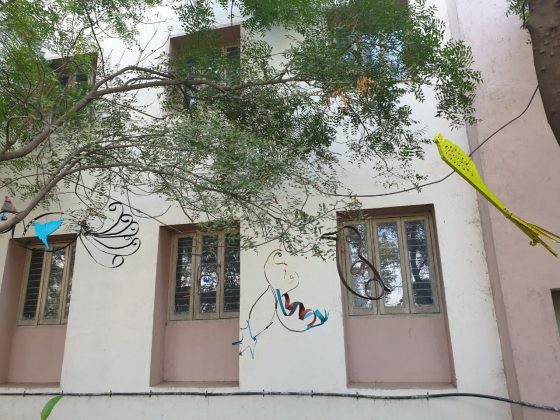 “As a way of enhancing and promoting the appreciation of art amongst it’s multi global students, Parul University has taken this art based initiative of having various art pieces being put up by these artists all over the campus. 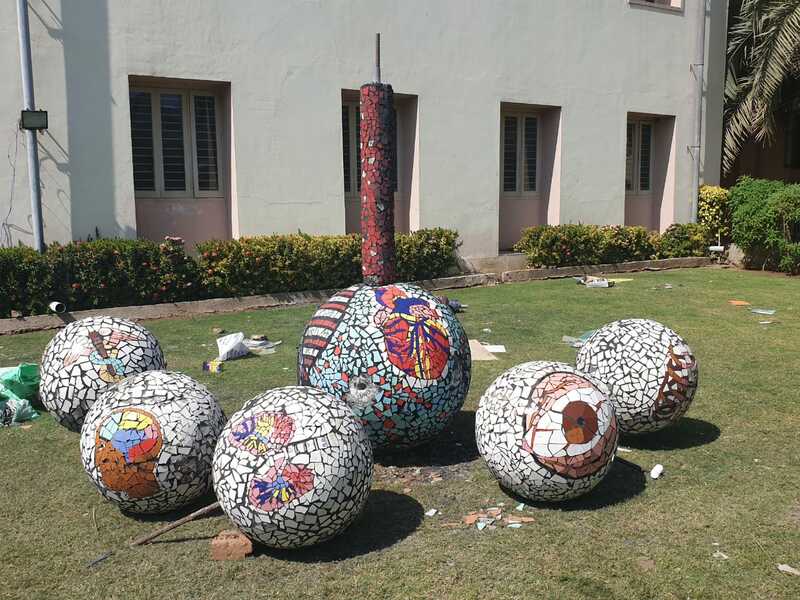 Forming a part of this ancient and contemporary art are structures such as Canvas paintings, Mosaics art, Stone sculptures and Textile art. 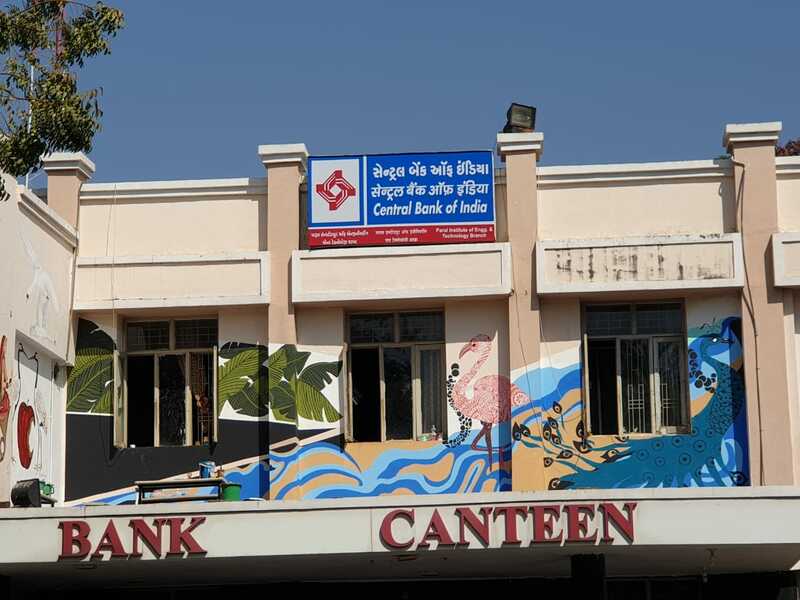 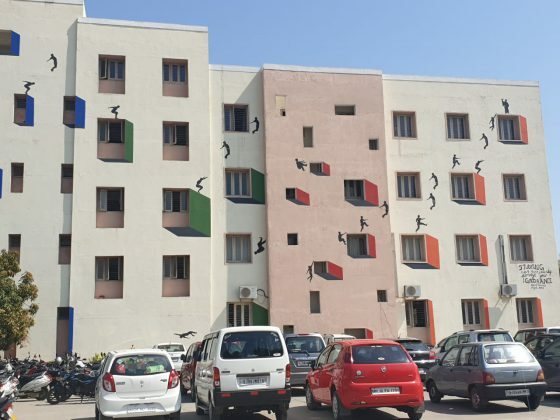 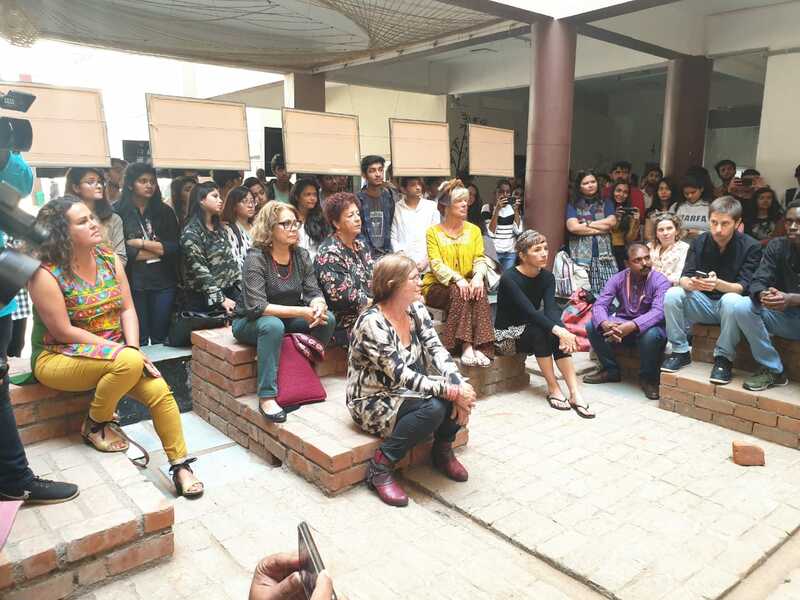 For the benefit of the university’s institute of art and design students, the program also include training and coaching from the expert artists,” said Dr. Devanshu Patel President Parul University. 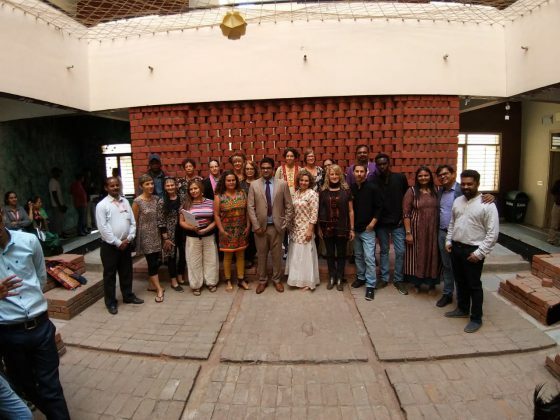 The International Festival uniting together artists from 3 continents and 15 countries like Canada, Netherlands, Turkey, Belgium, China, UK, Rwanda and Australia. 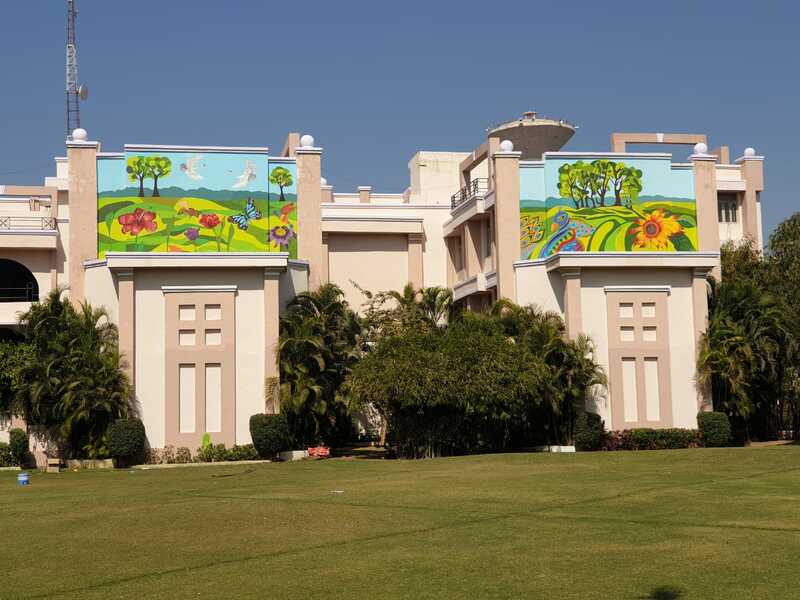 The artists took various subjects to showcase their art on the walls of the university. These artists have been majoring in different forms of art, bringing together a blend of cultural diversity through art. 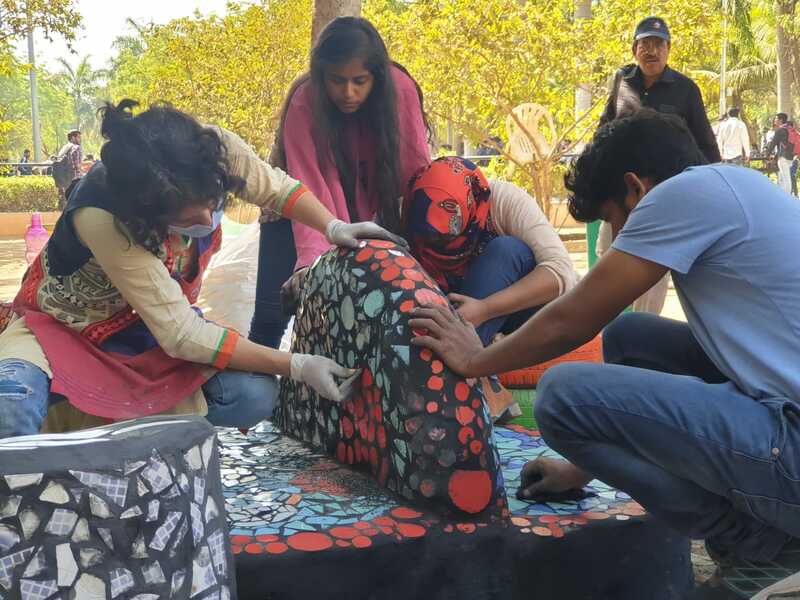 Adding on to the festival, the artists will also get the chance to explore the scope of Indian art with the help of a local curator Sachin Kaluskar, a partner of the University. This will act as source of inspiration for these artists, inspiring them to take Indian art beyond boundaries. 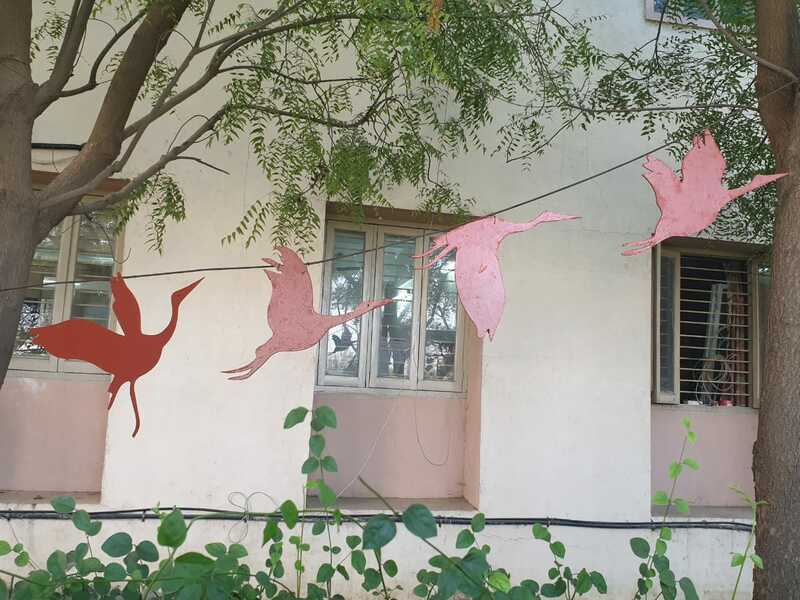 “Christine Kreamer Schilling work on migratory bird is impressive as she create best out of the waste to show the birds visits Gujarat. 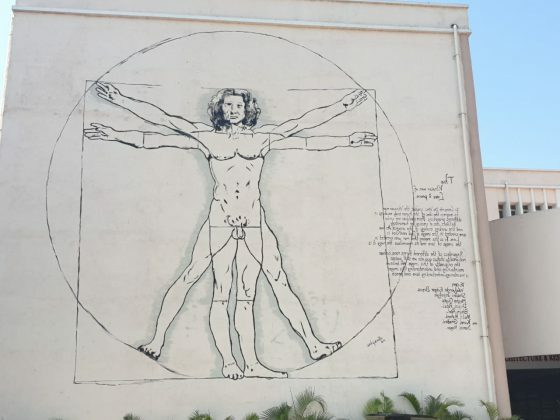 Walyendo Edgar Brevis worked on Betromian man like the Da Vinci, Beatriz Hagel Cabrera gives tribute to womenhood with Lesley Chan, Rachel Silver creates Spheres showing human body parts, Bruno Sirota on Seven Chakras with emojis, Iradukunda Gulain draw students life in the college, 3D painting by Juan Andres Vera Leal, Yoshiaki Kita clicked black and white pics of heritage of Baroda followed by the others,” said Sachin Kaluskar local curator partner of the university. The students of the university also joined the artists in their work and get to know the art forms closely during the festival. 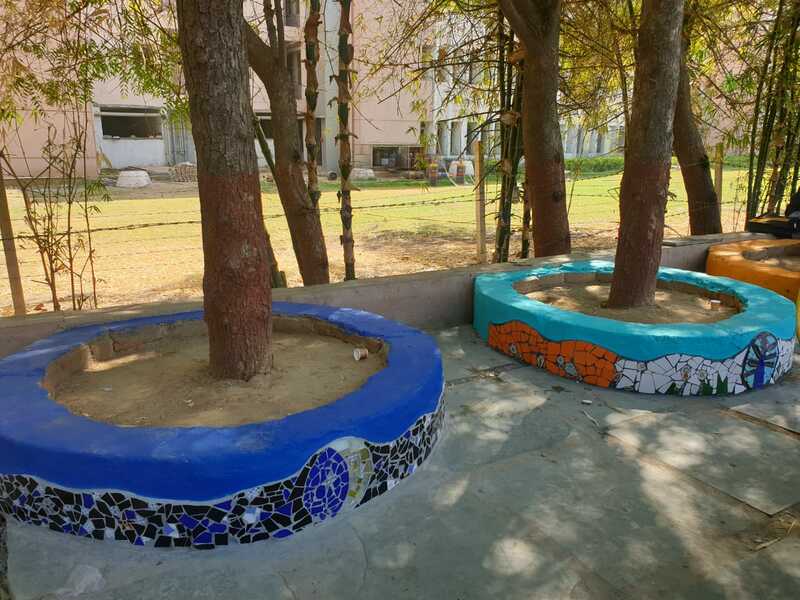 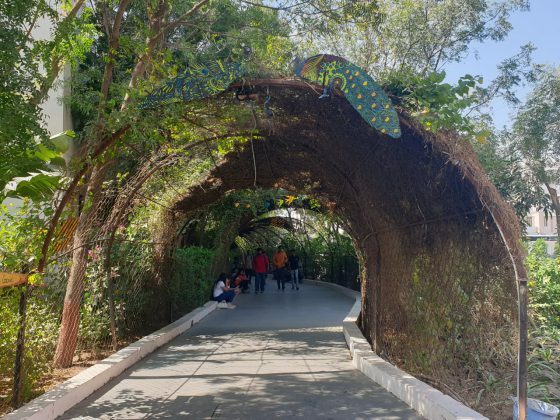 The campus turns artistic with the work and the students also feel proud to be the part of such international exposure in their own university. “Art is a source inspiration, it inspires the mind to think beyond the imagination, it inspires the hearts to believe in the beauty of humanity. 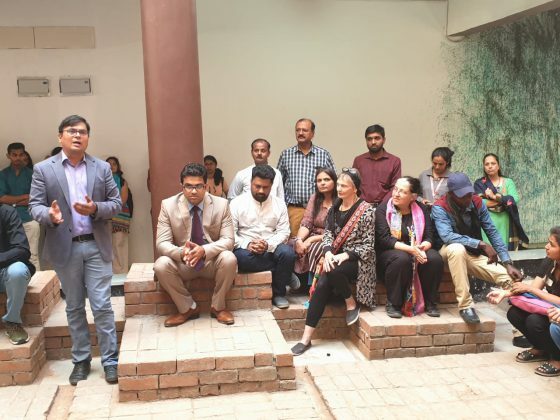 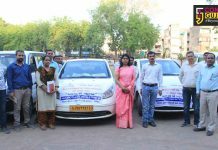 At Parul University we believe that this will go a way in motivating our students so that they may excel in their academics, above all we believe this will go a long way in projecting the essence of Indian Art to the world,” said Dr Devanshu Patel. 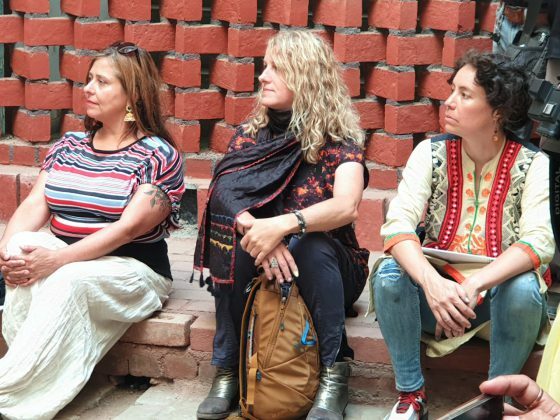 de Almeida e Oliveira Maria Gabriela, Rachel Silver, Annaleigh Warren and Margarita Venegas.